This is no Game scenario but an Interactive eye candy map. It is created in the scope of the Age Of Mythology Heaven Pretty Town Contest 2006. There is also a stand alone movie from the tour cinematic available which can be viewed outside the Age of Mythology game. Welcome mortal ….welcome in the realm of the god Poseidon. You show courage by travelling the vast Atlantic Ocean all alone. And this courage gives you the favor of Poseidon. He will tell you the secrets on how to explore his realm ….. an honour which only some mortals before you have been granted. This map contains a fully voice acted cinematic tour where Poseidon will guide you through a part of his realm. After the cinematic you can explore the entire map yourself. Make sure to check the Read me file before installing. Please also check the in-game objectives, hints and spotlight carefully because there is more than meets the eye. This is Age of Mythology the Titans hobby project was created in the scope of the official Age of Mythology Heavens pretty town contest 2006. I never was fond of any contest stuff in regards to this hobby creations….also not this time…the reason that I entered was to help out the guys over at AomH. King Jared ( back then an AomH moderator) had set up this official contest but it looked like that it would fail….submission of contestants was low….so low that the competition was at the risk to be cancelled. I found this a shame. The more because this would probably one of the last official AomH competitions since the Age of Mythology game wasn’t getting any younger…or more popular as time passed. So the reason I entered was to give the competition a boost…..i dragged as much as possible guys into it….and it worked ..many guys also joined. To prove that it did not need to take ages to create a pretty town map i made Wonders of the Deep within three days. Basicly the entire map design and triggering was done in 1 days. The sound and voice act recording and editing and the creation of artworks took 2 days (well probably less). Anyway it was fun and it was nice to see that in the end so many guys also joined in the fun. Hope you Guys & Girls like this map. Click below button to find the Official results post on AomH. Check the other links to find more info on the Pretty town contest. I also have created a custom Age of Mythology the Titans menu background based on the Wonders of the Deep scenario. 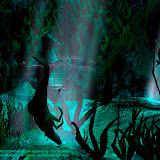 More information can be found on the Wonders of the Deep menu page. The trailer is also available on Youtube …..Download locations for this trailer can be found here. All Age of Mythology Wonders of the Deep map screenshots can be found in the WOTD scenario screenshots gallery. The second gallery is from the eye candy screenshot series where this map was inspired on. In Januari 2015 (9 years after the original release of this scenario) an updated version for AoM EE has been released on the Steam workshop. The Wonders of the Deep scenario for Age of Mythology the Titans download. Download this Vandhaal joint and enjoy Guys & Girls. The download package contains all you need to enjoy this scenario for your AoM TT game: scenario file,custom music folder, custom voice acting folder, custom sound effects folder, read me. 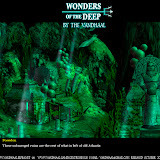 The Wonders of the Deep AoM TT scenario is downloadable on various locations. If the above download links do not work for you just message/ post a comment to The Vandhaal. The file has a size of 63,14 mb. The download package is compressed with winzip. Please make sure you read the included Read me file before installing the scenario.